M*A*S*H is the most beloved and one of the most watched TV shows of all time. It set viewing records that have never been broken and is ranked as one of the top 25 shows of all time. 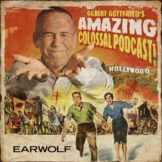 In this exclusive podcast, actors from this legendary show gather together for an uproarious and totally candid conversation about how they learned to connect with one another to create their special brand of entertainment on the screen and lifelong friendships off-camera. Join Alan Alda (“Capt.Benjamin Franklin “Hawkeye” Pierce”),Loretta Swit (“Maj. Margaret “Hot Lips” Houlihan”),Jamie Farr (“Sgt. Maxwell Q. “Max” Klinger),Mike Farrell (Capt. B. J. Hunnicutt), and Gary Burghoff (Cpl. Walter “Radar” O’Reilly) for this intimate gathering of your M*A*S*H pals. The gang invites you to share in the memories and the laughter. Mostly the laughter — after all this is the 4077th. This episode is sponsored by the Alan Alda Center for Communicating Science at Stony Brook University, please visit aldacenter.org/vivid [aldacenter.org] for more details.